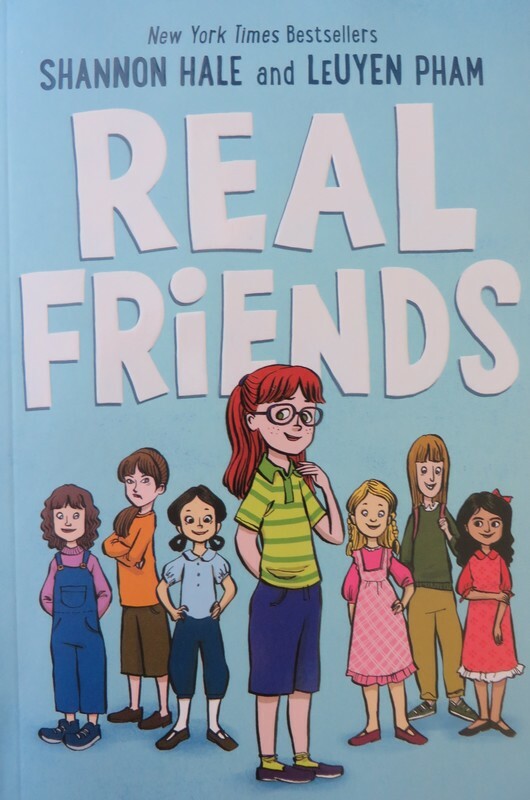 Shannon's best friend Adrienne has always been there, until she starts hanging out with a new best friend, Jen, who becomes the leader of "The Group." Shannon fits in to the group some of the time, but finds herself feeling pressured to like and dislike things based on one person's opinion, instead of deciding for herself. She is also dealing with a harsh older sister at home. This is a story about how to find your place, even when it seems like someone is determined to make you feel left out. Fans of Smile and Roller Girl will welcome this book, which is in graphic novel format. It's a relief to read a book that spells out so clearly what is often nebulous in girl worlds - the feeling of being included one day, but wondering why others can't join in, and the feeling of being excluded for no reason the next. The first copy of this book was so popular among my fifth grade students that I had to add more. "Please quit the group with me. We don't need them. We can form our own group."